More members of a youth soccer team trapped in a Thailand cave complex have been brought back to the surface, leaving just four more boys and their coach awaiting rescue, authorities said. 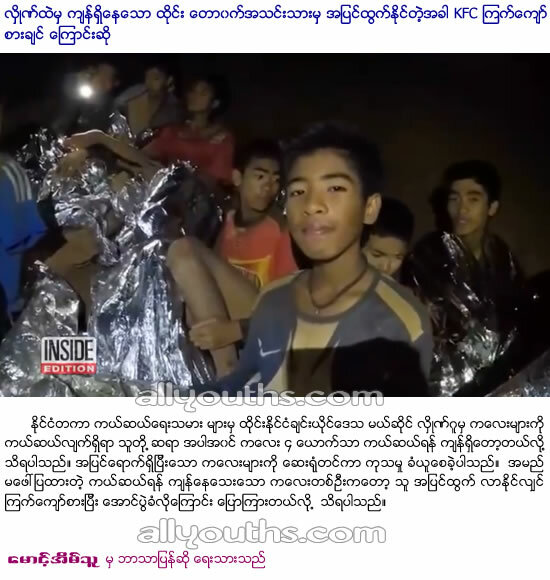 The unidentified boys were carried out of the Tham Luang Nang Non cave on stretchers and into ambulances before being airlifted to Chiang Rai Pranukroh Hospital. InsideEdition.com's Leigh Scheps (http://twitter.com/LeighTVReporter) has more.
.:: Latest Other News ::.